As is often true for ENTP career seekers, the road to a satisfying career can be a rough and rocky one for the INTP. INTPs feel they must understand themselves and their place in the world before settling into a career. This includes discerning their signature skills, as well as their personal interests and values. Nailing down exactly what they want to do can be a frustrating affair for INTPs, requiring a great deal of time and experimentation. It can take years, even decades, for their niche to emerge with full clarity. For this reason, selecting the “ideal” college major fresh out of high school is probably unrealistic for many INTPs. Because of their rugged individualism, INTPs may struggle to find satisfaction with traditional careers choices. It can also make them reluctant to function as employees. They loathe the idea of answering to someone else and can have difficulty embracing an organization’s vision as their own. Like INFPs, they are sensitive to what they see as the trivial or meaningless aspects of a given job. This is exacerbated by their innate skepticism, which impels them to question everything. Consequently, many INTPs discover that they want to work independently. Because of their desire for complete autonomy and control over their work, they can be hell-bent on “escaping the system” or becoming financially independent so they can freely pursue their own interests. To orient our discussion of INTP career interests,we will now draw on six interest themes described by John Holland and the Strong Interest Inventory. The Holland career interest themes include the Realistic (R), Investigative (I), Artistic (A), Social (S), Enterprising (E), and Conventional (C) domains, which are collectively referred to as “RIASEC.” After identifying one’s preferred interest domains, these letters can be combined in a way similar to the personality types to form a multi-letter “Holland Career Code” (e.g., IAS, RAI). This can help individuals identify their best career choice. Those with Realistic interests enjoy physical, hands-on work, often involving machines (e.g., repairing vehicles, tinkering with computers, construction). Such individuals are often visual or kinesthetic learners, commonly excelling in spatial visualization. Those with strong spatial-visualization skills often do well with schematic charts and diagrams, as well as envisioning and mentally rotating three-dimensional objects. Einstein undoubtedly excelled in this regard. Realistics often enjoy working with “things” more than people. It is therefore unsurprising that this interest domain is correlated with a preference for Thinking over Feeling. Research suggests that S, T, and P types are somewhat more drawn to Realistic work than are N, F, and J types. While INTPs not to the same extent as their ISTP counterparts, INTPs may show some level of interest in Realistic work. 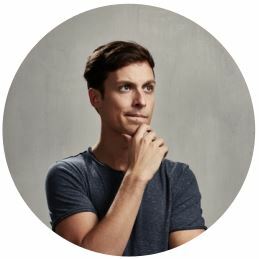 Similar to INTJ career-seekers, the Investigative domain is typically among the preferred Holland domains for INTPs, involving analytic, scientific, or academic interests. Investigative types enjoy working with ideas, theories, facts, or data. They generally perform well on the mathematics portion of aptitude tests. Those with interests in the physical sciences or mathematics will often pursue careers in science, technology, engineering, computer science, etc., or what are commonly known as “STEM” careers. INTPs’ Investigative interests may range from the hard sciences (e.g., theoretical physics) to the social sciences (history, economics, psychology, sociology, geography, archaeology, political science, etc.). For many INTPs, the hard sciences, may seem to demand too much in the way of precision, patience, or attention to detail. INTPs who combine Investigative with Artistic (A) interests (IA or AI code) are often concerned with psychological or sociocultural issues and may study the social sciences, philosophy, critical theory, investigative journalism, or take up non-fiction writing. Like Investigatives, those with Artistic interests often have an intellectual or cultural orientation. They do especially well on the verbal portion of aptitude tests. This interest domain is associated with Intuition, as well as, to a lesser extent, Feeling and Perceiving. Artistic types are highly represented among students studying the arts and humanities. Like those with IA interests, those with AI interests may gravitate toward philosophy, the social sciences, or interdisciplinary studies, all of which allow them to utilize both the creative and rational aspects of their personality. Because of their auxiliary function, Extraverted Intuition (Ne), the Artistic domain is typically one of INTPs’ top three interest areas. But when combined with their Investigative preference, it usually manifests as a desire to innovate or synthesize ideas. This is why writing, be it non-fiction or computer code, can be of particular appeal to INTPs, allowing them to regularly employ both their logic (Ti) and creativity (Ne). Individuals in the Social interest domain enjoy working with people. This domain is often conceived as the conceptual opposite of the Realistic domain, although some individuals enjoy working with both people and things. The Social domain relates to preferences for Extraversion and Feeling. As we will discuss later, INTPs may take up Social careers because of the influence of their inferior function (Fe). They may, for instance, be drawn to jobs, occupations, or majors in counseling or healthcare. The Enterprising domain entails the promotion of products, ideas, or services. Such individuals tend to be persuasive, assertive, and enjoy competitive environments. Typical Enterprising careers include sales and marketing, business and management, certain types of law, politics, journalism, insurance, and stock trading. Enterprising individuals often prefer Extraversion. Unless their Enterprising work is done less directly, such as online or through writing, INTPs often avoid this domain. Individuals with Conventional interests enjoy administrative types of work and commonly prefer S, T, and/or J. While most INTPs can exhibit competence in such roles, they usually avoid careers with a heavy Conventional element, as such careers fail to adequately satisfy their Ti-Ne need for intensive or creative thought. Careers in this domain are typically avoided by INTPs. As enumerated in my book, The INTP, the influence of INTPs’ inferior function, Extraverted Feeling (Fe) is an often underestimated factor in their career interests. While one might expect INTPs to gravitate toward Thinking-oriented work, such as STEM careers, their inferior Fe inspires many INTPs to pursue people-oriented careers such as psychotherapy, ministry, marketing, etc. While INTPs may dream of a career where they can seek wisdom and share it with others (Fe), those who find themselves performing people-oriented work often encounter difficulties. While INTPs may welcome human engagement in small quantities, too much will exhaust or frustrate them. They can quickly tire of having to placate people, especially in cases where it is inconvenient or emotionally taxing to do so. They may also find themselves longing for more time and solitude to independently, think, investigate, or create. To secure the desired amount of time and space for pursuing their own interests, INTPs must think carefully about their lifestyle choices. They should carefully consider whether they want others to be financially dependent on them or making demands on their time. In some regard, those who opt for a family early in life (especially with children) may hamstring their ability to function optimally as INTPs. It can be very difficult for them to find their niche while simultaneously supporting a family. Of course, forgoing relationships is never easy for INTPs either. Regardless, those who want both career and relational satisfaction may be wise to wait until later in life to crystallize their commitments. INTPs love investigating and creating. They enjoy reading and gathering information, as well as conducting their own personal experiments, for the sake of discovery. They differ from TJs in their distaste formal research. Rather than testing things formally, INTPs typically prefer to rely on their own logic, methods, and thought experiments. Since INTPs love working as independent creators and investigators, one of their key concerns is how they can make money doing so. This may inspire them to start toying with the prospect of freelancing, blogging, or other forms of entrepreneurship. *INTP careers may significantly overlap with those of Enneagram Fives (5w4, 5w6), perhaps even some Fours (4w5, 4w3). This is a very interesting. I tested myself as an INTJ for years until a leadership studies course had me rethink the subject. Now, I see myself as a P although normally trying to function as a J at my work. All the experiments listed I have tried and am still investigating! The slash job tiles are also correct. I have been a Communications Tower climber, a Navy nuclear mechanic on submarines, a restaurant owner in training (butcher, baker, cook, manager and dishwasher), a Commissioning engineer for Data Centers, a Controls engineer/Construction manager/technical operations, and currently back to Commissioning engineer/ controls designer. I have felt dismayed at starting college as a junior in engineering only to move to be a sophomore in business management. To become a junior only to quit to be a sophomore in leadership studies. I hope to go back in the spring to my first college to finish my engineering degree as a PE stamp will be needed in the near future to advance my career. I was spared poverty by obligations to a young family and the military. Now I am 35 years old with six children in school ages 4 to 14. Great information, thanks for the efforts to understand the complexity of human personalities. Ditto. My personality tests suggests I have strong INTJ and INTP aspects, but after studying up descriptions of INTP’s it started to seem closer to my self. Can’t get over how much this speaks to me, as a 35 yo newly identified INTP searching for the right professional path. One time I showed my grandmother a description of her type (ISTJ) and mine (INTP). Rather than coming to the conclusion I’d hoped for—namely, that different people do actually have differing priorities—hers was “Well, yeah, you’ve got a lot of stuff you need to work on” (!). So I guess she evidently saw my profile as an enumeration of flaws. I’ve tried talking about INTP traits to validate my worth. It doesn’t work, at least with those I’ve shared with. Those who see your worth already don’t need it, those who don’t never will. It is only for us… Just a tool to acclimate to the world. No one else needs to know. No one else cares…. Mostly because they have their own stuff to deal with and can’t comprehend our complexities. No one realizes how far we have come to overcome. I thought I was in depression in early life, not suicidal but hermit like. Now I realize it is my norm but I have compensated enough to live and be happier. My idea has always been something like a ‘philosophical monastery’. A place like Plato’s Academy, where everyone is free to devote themselves to their own intellectual pursuits and follow their own nose. See, e.g., Raphael’s “School of Athens”; it more or less visually epitomizes what I mean. This USED to be what universities were; but now they’re just bureaucratized factories of mass-produced education (or what passes for ‘education’ in our time). In the Republic of Imagineers, everyone is walking around city centres reading their emails not looking where they are going. No one is angry. No one is colliding. I am going to start a company of people selected by this method only, and we will be a self organised collective of altrusustic entrepreneurs. Rich I tell you. Muhahah. Is it okay if I steal the phrase The Republic of the Imagineers? Thank you for this, i have been “lapping up” every word of it and my ego can’t quite comprehend that “our type” has been neatly observed and defined :) … We are supposed to be so adaptable and enigmatic that we are intangible…or not so, it seems! But I for one am grateful to be able to read into this…i will soon be 35 yrs and have been at a lost as to HOW to get the “right” job where I won’t be constantly bored whitless within a month of starting; this is 13 years and counting and already 2 “pilgrim-like” career breaks searching for that Holy Grail. The first career break was “be more spontaneous; go for it” and the 2nd one was driven by my “inferior function” (“think LESS and go with your “heart”, i.e. 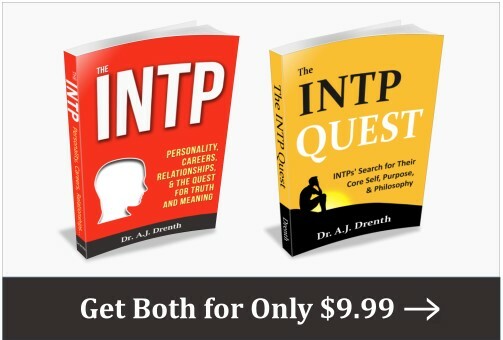 Towards people to help “) – both breaks were extremely therapeutic in addressing why both approaches were wrong…although I didnt know this was because of my INTP “type”, though. I feel like I could burst from this revelation…like “coming home” and “FINALLY” being understood (which never really is the case). I need to capitalise on this in 2016, and finally “take the plunge” and move myself into a conceptual, creative, imaginative, free from regulations, type of work…IF I can find one that will pay me for that (whatever it may be). But just HOW is it that I can love ideas and can’t stand small talk, but … feel a deep longing and pain for being so far from people and so bad at maintaining contact with friends,etc…? 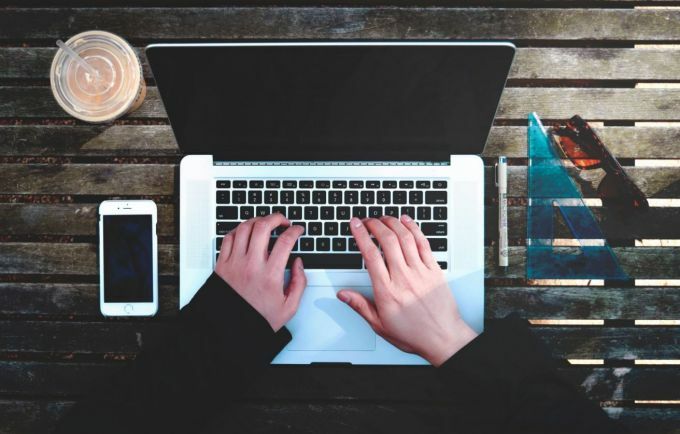 I’ve also toyed with non-fictional writing and blogging for decades now, but the sum conclusion was always: what’s the point; there are so many out there? Who is really going to read it? Will it help anyone or is it just my ego wanting to “be out there”? I love it. That’s me. Thanks for making me feel less strange. I am considering meta-visualisations of big data. But interactive. To remove the middle man and all his noisy statistical small talk. Also, I recently discovered quaker prayer groups. They are potentially the most fun you could ever have and have no young people at all. I literally, literally am now an SEO Strategist because of this one post. Like many who have read this article, I felt that it understood me when little others have. I am currently doing quite well in SEO, so I can only thank Dr. Drenth! How does the field fit with your INTP characteristics? I agree; it is soothing, however oddly. From yours as well, my being 32, I feel somewhat vindicated. Ten years ago I was briefly in the mortgage business. I learned a LOT about money and financial strategy, but I sold barely anything. I developed a business Model which was going to be how I did things. And just as I was putting the finishing touches on this approach to the work, which in someone else’s hands could have made them a fortune, I curiously felt that “my work was finished”, and I went back to school. Which is all very ironic: the reason I got in to business in the first place was so that I could escape school! In any case I’ve had a phobia of “work” ever since. Some of the things written in the article + comments were stunningly close to the mark. 28yo, former INTJ but more recently testing as INTP (seems common phenomenon). Look forward to digesting the rest of this site ASAP. Remarkable stuff. how were y’all tested? through a professional? the MBTI online? a test modeled after MBTI? I’m 25 now and I have less than a year left for my bachelors in accounting. I loath my chosen field. I think I chose the worst possible career for me. It’s monotonous and at most times I find, meaningless. Thinking about Running numbers and sitting in a cubicle working for the man my whole life makes me want to jump off a building. Luckily I served in the military after high school so my bachelors is paid for. Ironically I worked with my hands as an airplane mechanic and enjoyed that aspect (not so much the military part) of it. So I think I have more realistic interests…. But at the same time I dont. Haha I think being an INTP is a curse. Now I’m just worried. What the hell do I do now? I’m stuck with this idea of what modern day success equates to. Plus all the pressures to conform to it from family/society. I wish I could be happy just being a monotonous drone. You could use your business knowledge from accounting as a consultant, blogger, business analyst instead of only doing monotonous Excelsheets. Here’s another INTP who used to be in accounting. I studied it at uni and worked in an accounting firm in my last year which turned out to be a nightmare.. one day my boss came to me and said he thought I was too creative to do accounting work. Now I’m in financial advice where I like the strategy part but not the constant interaction with people.. I am in an enigmatic dilemma right now and this article has pointed it out royally, but I rather hate to admit that. 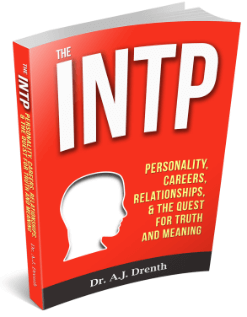 I recently tested as an INTP and I thought, well that can’t be possible because I have tested as INTJ since like 2010, yet I am so good at computers and I hate people, like don’t touch me, especially extroverts who want to hugs you and borrow money or sit two inches away from you while you are eating! I could pull my hair out. Well that’s what is happening to me now at this college I am going to because I am in medical assisting and I can’t stand the labs. Theory is great, people can’t even remember the names of glands, and that has me frustrated because these are going to be future employees and you have to be on point about these types of things. I’m here listening to people talking themselves in circles like they are psychopaths and forming cliques and I’m like guys, really, like you’re about to be thirty, what the he’ll is wrong with you. That being said, I have fallen into the social trap my entire life practically, working at jobs that drained me, and this medical crap that I now say with great sadness that is killing me inside, and now I must change to something else. I am not that great at math either, but given rules I can defend myself. I am a bit more creative, I have an artistic hobby where I recycle things and make jewelry out of them. I love building things with my hands, albeit small things. I identify well with this article. Well written. That last comment was really sad and I do hope you found something. And also, I feel the same and I’m 32. Soldier on. You clearly have a gift for creative writing my dear- your writing is rather engaging and entertaining and you have a knack for using negative space even and design on a random blog comment – you know instinctively how to draw the eye downward. You are correct that you are not seeing yourself and your own creative talent. Do NOT give up! I am almost 50 and finally coming to grips with the fact that being an Instructional Designer is probably my best niche – I can explore / create mental models all day every day, put content out on the web and not have to constantly be interacting with so many people talking about so much shallow, one-dimensional and boring crap. What a shocking relief to read about this. Certainly this ‘seeking’/restless part seems to be common.. wanting to check all the possibilities for what’s the best place to live (and excell).. How could these personality criteria even be rationalized, it’s so accurate for me. And it seems I am not the only one alone in my head! Currently working as a paralegal (despite being licensed to practice law). I knew the moment I went to law school, I would hate it, and I did. Fell right into depression. Naturally didn’t do as well as I’d have liked. With what seems like a dead-end job, working in a tiny room with four other people (one who used to be my “friend,” until I realized what a horrible person she actually is as she’s controlling, opinionated, and two-faced), lack of positive interaction (or even one that allows light jokes), I’m honestly feeling like death because I’m so miserable. Money is not worth the torture I deal with every day. I truly hate my life. But at least I know I’m not the only one, and that I’m a normal INTP. I think we are soul mates, Whitney. I was 35 when realised (I’m now 36) that have self-assessment tests. when I have done the first the result was INTJ after that I looked for more and the second was INTP. Started the dilemma which one the right. One people on the web told me that read about introvert and extrovert thinking and what is more like you give the answer (introvert thinking is INTP). This was the first time that I realised I’m an INTP. I’m still looking for my path in a career because I still don’t know myself enough. What I know, I really don’t like when somebody wants to tell me what and how to do it… I would like write here more, but I can’t because my mind “jumping continuously”. 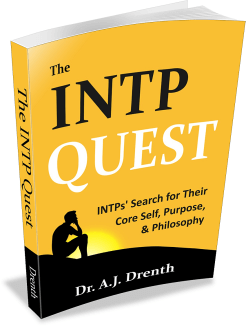 I want to tell almost everything is true and made me sense what Dr Drenth wrote his book (The INTP). Please forgive my grammar, english is my second language. This is my life in a nutshell! I chose a career that helps people, yet it drains me mentally and leaves me yearning for a moment of solitude. My career makes me feel as if I’m not putting my deep thinking mind to it’s full potential. Cosmetology is really best left to extroverts. I truly underestimated that inferior (Fe). I’m back in school and leaning towards becoming a social worker until reading this! It’s true helping people is what I imagine I want, but when it comes down to it a career with little social interaction, but still helping humanity on a grand scale is far more appealing. This whole article was dead on for INTP! Really helpful. RIASEC told me that I’m SEA, but I’m INTP. I’m currently trying to find something to study at University and I can’t beIieve how much the first couple of paragraphs speaks to me. Sums me up in a nutshel. I’m one of those INTP’s who does not have a natural aptitude for math or quantitative reasoning. That’s very unfortunate since 1) much of this post emphasizes that kind of thinking and 2) those are the kinds of jobs in demand right now. Many if not most of the non-quant. reasoning fields mentioned above offer very poor returns on investment due to poor demand. Unfortunate indeed. Finally a website that is making sense of myself. I’m in my late 40s, and still unclear about what to do with my life, going from job to job with no sense of career. It came to me late that I spend so much time understanding how things work. However with a strong artistic bent I’ve never been drawn to the sciences although did enrol in psychology but pulled out as I hated statistics. I’ve also tried teaching and now work as a public servant. I’m still not sure if I’m a F or S.
The God-given talents you speak of I don’t possess. I am definitely an INTP, and I definitely enjoy the kinds of things that Drenth says we tend to grativate toward, but I have little talent for any of them. I tried programming a while back–no good. I’m sure I could do it after a lot of work, but I don’t have the time to re-train nor the debt-tolerance. I did work in the humanities. Since “human” is the root in “humanities,” I guess it is humans I should be working with, but that sooo does not work well for me in most high-pressure situations. Im 21 y/o a fresh graduate of medical technology profession & unemployed . I was often criticized because of it, theyre pushing me to do a meaningless job(routine laboratory work ;requires frequent human interaction small talks with colleagues ) & this caused me anxiety and depression. They say that my time is running out I should get a work experience bla bla bla , I actually understand them because they want me to earn money (I live in a 3rd world country) & work abroad. The society expects me to pursue my profession & work til I earned enough money & then what???. What a fccking useless way to live. Im still in struggle in choosing what I want right now, I love abstract ideas, I also love sketching realistic portrait , I love psychology, philosophy , physics, astronomy, & I also love solving problems , tweaking computers and electronics. I still cant decide but I want to try computer science.I dont know if this will work for me I dont have any experience in programming, but I think im good enough with math. Sorry for my english though, peace!